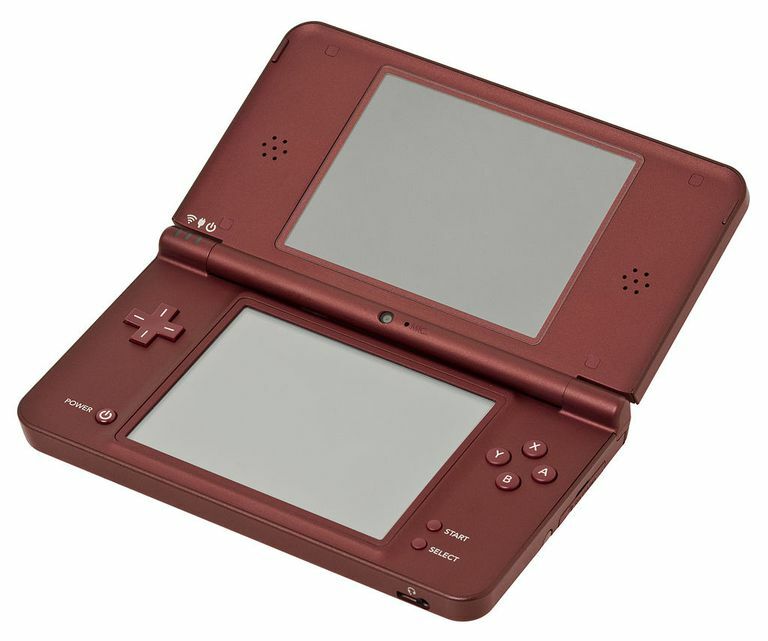 What Is the Nintendo DSi XL? The Nintendo DSi XL is a dual-screen handheld gaming system designed and manufactured by Nintendo. It's the fourth iteration of the Nintendo DS and launched in Japan on November 21, 2009. It became available in North American on March 28, 2010. The Nintendo DSi XL functions similarly to the Nintendo DSi, including having two cameras, built-in photo editing software, built-in music editing software, and an SD card slot. However, the DSi XL differs from the DSi in a few key areas. The screens on the Nintendo DSi XL are 4.2 inches measured diagonally. This makes them 93% larger than the DSi or any other version of the Nintendo DS. In addition to having larger screens, the DSi XL also features a wider viewing angle than past iterations of the Nintendo DS. This allows spectators gathered around the Nintendo DSi XL to clearly view the displayed game's action while being played. Unlike the original Nintendo DS (also referred to as the "Nintendo DS Phat") and the Nintendo DS Lite, the DSi XL can't play Game Boy Advance (GBA) games. This also means the DSi XL can't play the few Nintendo DS games that require the GBA slot for an accessory, such as "Guitar Hero: On Tour." "My DSi is going to be different from your DSi—it's going to have my pictures, my music, and my DSiWare, so it's going to be very personalized, and that's sort of the idea of the Nintendo DSi. [It's] for all of the users to personalize their gaming experience and make it their own." The "XL" stands for "Extra Large." This of course describes the handheld gaming devices larger screens compared to previous DS models. The Nintendo DSi XL can play the entire Nintendo DS library, with the exception of games that utilize the Game Boy Advance cartridge slot for necessary accessories. The Nintendo DSi XL can utilize a Wi-Fi connection for multiplayer sessions and item swapping. It can also use a Wi-Fi connection to access the Nintendo DSi Shop and download DSiWare, which are unique games and applications available in the online shop. Most of these downloads are paid for with Nintendo Points. These can be bought with a credit card or through pre-paid Nintendo Points cards that can be found at some retailers and game stores. The Nintendo DSi XL is bundled with a pen-sized stylus (in addition to the regular stylus), an Opera internet browser, a simple animation program called Flipnote Studio, and two "Brain Age Express" games: "Math" and "Arts & Letters." The Nintendo DSi XL has two cameras and is also packed with photo editing and music software. The music editor lets you upload ACC-format songs from an SD card, play around with them, and then download your work to the SD card again. The SD card allows for the easy transfer and sharing of music and photos. Last but not least, the Nintendo DSi XL has the same built-in features that have accompanied the Nintendo DS from day one: The PictoChat illustrated chat program, a clock, and an alarm. The Nintendo DSi XL can play Nintendo DS games (as mentioned, it can't play the Game Boy Advance library, however.) The Nintendo DS's library is celebrated for its variety and quality content. Players have access to lots of great adventure games, strategy games, role-playing games, puzzle games, and multiplayer experiences. There are also quite a few sprite-based side-scrolling platformers, which is good news for retro game enthusiasts. DSiWare games often show up on Apple's App Store and vice versa. Some popular titles include "Oregon Trail," "Bird and Beans," and "Dr. Mario Express." DSiWare games are typically cheaper and a little less complex than a game bought in a store at retail price. The Nintendo DSi's cameras offer added features for some games. For example, a game can allow you to use a photo of yourself or a pet as a profile picture. The Nintendo DSi XL's most notable competitors are the PlayStation Portable (Sony PSP), Apple's iPhone and iPod Touch, and the Apple iPad. Both the iPad and Nintendo DSi XL strive to make portable gaming easier by reducing the strain on the eyes by using larger screens. The Nintendo DSi Shop is similar to Apple's App Store, and in some cases, the two services offer the same games.